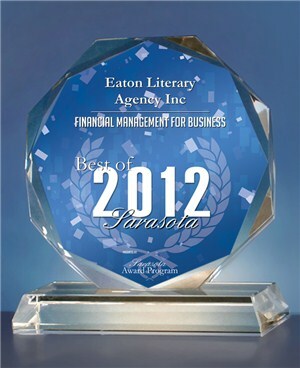 Eaton Literary Agency was established in 1984. 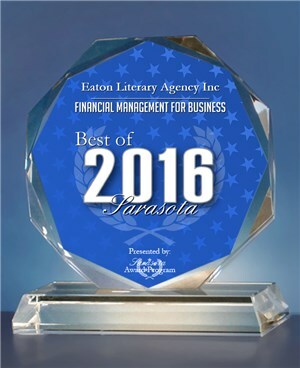 Our $3,000 Literary Awards Program began at that time to attract quality manuscripts which we can present to publishers. As literary agents, we need authors to satisfy the ever-increasing demands of the publishing industry. The Awards Program attracts entries from all over the world. If you are thinking of sending your manuscript, you may want to know something about us. 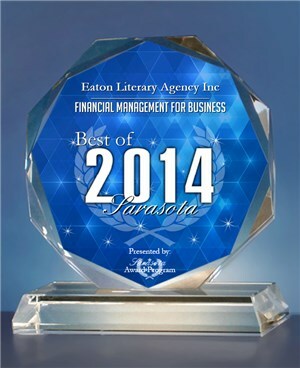 Eaton Literary Agency is in its 34th year. 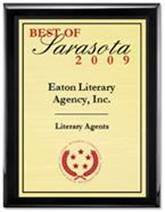 We were literary agents for 10 years before opening our own agency, so we’ve been in the publishing business for 44 years. 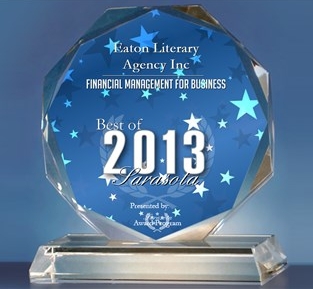 During the 34 years Eaton Literary Agency has been in business, we have granted over $100,000.00 through our Annual Awards Program, to authors to help support and further their writing careers. We wish to thank the many wonderful writers and publishers we have worked with throughout the years, and we look forward to many more years filled with talented authors with exciting projects. been awarded The Gold Certificate for Attaining Milestone 30-Year Anniversary of Service. For more information, please contact us. E-mailing us is the quickest and least expensive choice.